While reading through the many articles on climate change and the negative effects it is having on our planet, have you ever wondered why we are not doing more to protect it? Developing countries are faced with particularly complex challenges through their need to develop to meet the basic needs of their people, while at the same time being pressured by the developed world to join global efforts to reduce greenhouse gas emissions. To make things worse, developing countries will feel the adverse impacts of climate change first and the poor will be affected the most. 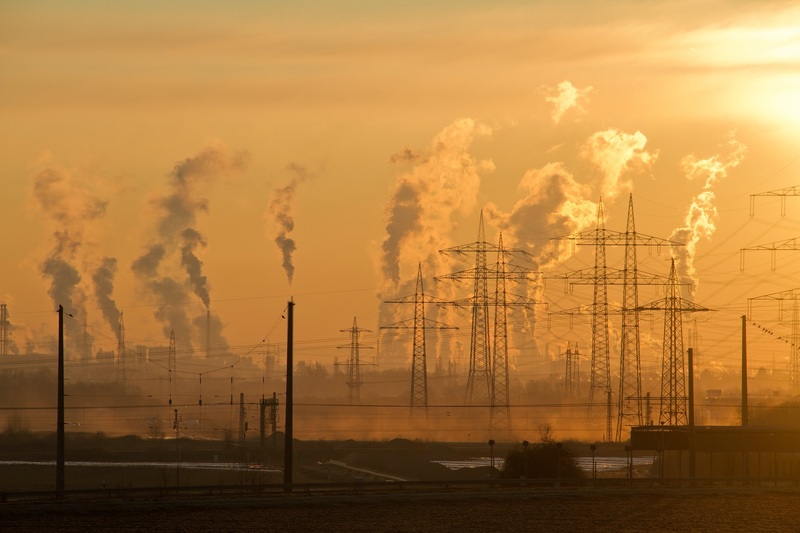 Greenhouse gases, unlike other forms of pollution, very quickly distribute themselves throughout the atmosphere, so the low emitters (including many developing countries) feel the effects of the same CO2 concentrations as the high emitters from the developed world. Hence it does not matter where the emission reductions are made from a climate change mitigation viewpoint. The challenge of climate change can only be made if all countries reduce emissions. We know very well how to reduce emissions technically, the problem is how to balance the task of emission reductions fairly, while still allowing developing countries sufficient carbon space to uplift themselves. Of course, just like children fighting over a bowl of sweets, no one wants to sacrifice anything, unless it is sure the others will follow suit. Economists call this the problem of ‘free riders’, that everyone hopes everyone else will take action, and you hitch a free ride. In the face of all this, what is a developing country to do? The first thing, I would suggest, is to determine how different degrees of climate change will affect the country – in terms of health and wealth (socio-economic impact). These estimates need to be credible to all the players, both within the country and in the global climate change mitigation negotiating forums. Wild, unsupported claims are likely to be ignored. Luckily climate scientists are producing very careful evidence, making clear that it is in every country’s national interest to act on this global problem. Secondly estimating the country’s carbon emissions under different mitigation scenarios will help to assess the cost of different mitigation interventions. These cost impacts are necessary for the country’s decision-makers and for the purposes of negotiating the levels of mitigation required by each country. It is important to understand the indirect costs too, that is the socio-economic implications of mitigation – whether they are costs or benefits. The accepted way to develop such mitigation scenarios is to use computer models. However, these models and their outputs will only be useful if they are credible to and understandable by all. There is no use in having an amazing model if no-one else understands the model’s assumptions nor accepts the results. One process that can help achieve credibility, acceptance and understanding is the MAPS process (Mitigation Action Plans and Scenarios). MAPS was developed by the Energy Research Centre at the University of Cape Town together with SouthSouthNorth (a not-for-profit involved in climate change projects that explore the connection between climate change, poverty alleviation and development) and applied in in Brazil, Chile, Columbia and Peru. Viewpoints within different countries in different stages of development and affluence differ widely, so the MAPS teams came up with different strategies in each country while using the same process. MAPS accepts that in order to get policies changed in the desired direction, all the stakeholders (scientists, activists, entrepreneurs and policymakers), with their different motivations, need to be brought to a common understanding of climate change mitigation and different development pathways, so that a way forward can be agreed and acted upon. In the MAPS process this is achieved by “mandating” and “co-production of knowledge”. Mandating means being delegated the decision-making power to run a process whose results will be taken seriously by governments. Co-production of knowledge involves all stakeholders agreeing on what data to use and how to interpret it (e.g. data on development plans, emission data, population statistics, how industries interact, energy usage, how to measure socio-economic health, etc.). The next step in the MAPS process is to come up with many different actions and to model the impact of the actions on the system, for example, emissions, economics, social aspects and so on. There needs to be a balance between the level of detail, complexity, the ability of the players to understand the models results and this must be communicated to all stakeholders. This will all be affected by the resources available such as, skilled people, time and money. In each of the four countries mentioned above, there was co-production of knowledge, many mitigation actions were explored through modelling and the results considered by Scenario Building Teams (SBTs). The SBTs were the assembled stakeholders from various walks of life, using information from the modelers to construct different development and mitigation scenarios. It was found in most cases that the combined actions, even if they were carried out perfectly, came nowhere near achieving the desired level of emission reductions. This is known as the “mitigation gap”. The mitigation gap was found to be caused by many different factors in the four countries. Some factors were political – the governments felt they couldn’t sacrifice development for mitigation; others were technical – the country didn’t have the capability or flexibility to make the necessary changes; and some factors were due to vested interests, digging in their heels and hoping to survive. There were tough discussions in all SBTs! Following these discoveries the MAPS teams interrogated the mitigation gaps, looking for ways to narrow the gaps, find new possibilities, or ways to persuade stakeholders to reduce current constraints. Finally the teams explored the concept of “bridges”. Bridges between knowledge and domestic policy and between domestic policy and international contributions and agreements. This was aimed at helping the governments decide on their internal strategy for development and climate change mitigation. The second bridge was putting the mitigation scenarios into the mitigation contributions that each of the four countries submitted to the global climate change negotiations, before a key UN meeting in December 2015, that resulted in the Paris Agreement. If you are interested in learning more about MAPS, an excellent online course was developed by the MAPS team. It is called Climate Change Mitigation in Developing Countries. The course consists of an on-line, interactive series of video lectures, review and graded quizzes, written assignments and interactive discussion forums. The course director is Professor Winkler, head of the UCT Energy Research Centre and a climate change expert. Professor Winkler has been a member of South Africa’s negotiation team at the UN climate change conferences for many years. The course is aimed at climate change practitioners, development workers, students, lecturers and teachers or simply those who are curious about how climate mitigation is understood. The focus is on developing countries and how they can contribute to climate change mitigation while also encouraging development and its benefits. I completed the course, taking a bit longer than the three hours per week estimate (because I kept getting side-tracked into all the interesting additional readings provided! ), and emerged a changed person! I was dismayed at the complexity of it all – the actual climate systems, the contested data, the model choices, the political/economic/social challenges to any change. However, I was also inspired and encouraged by the way MAPS was able to get groups of widely divergent stakeholders, including the governments, to engage with each other, understand the differing viewpoints, and come up with workable solutions. This course was created before the Paris Agreement in 2015, however I think that MAPS-type processes would be ideal in helping the UNFCCC Paris Agreement countries develop and implement their Nationally Determined Contributions (NDCs).